The time has come. You are ready to attend the year’s greatest CAD event, SOLIDWORKS World 2017 in Los Angeles. To make planning your trip a little easier, we’ve compiled a one-stop checklist you can use to make the most of your time at the event. Social Media: Follow the conversation, stay up to date, share your opinions and see how your peers are reacting to events as they happen live by using and watching the Twitter hashtag #SWW17. · You can access the SOLIDWORKS World website here. 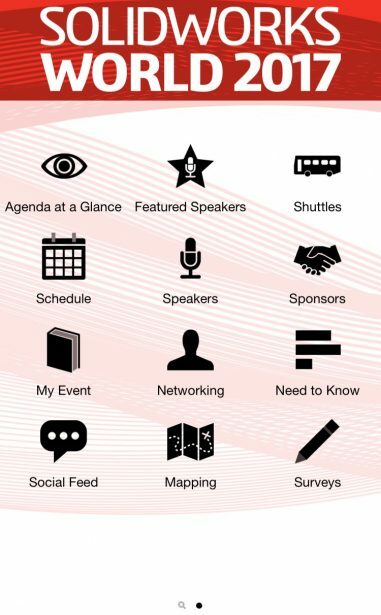 Mobile App: Download the SOLIDWORKS World 2017 Mobile App to manage your event experience. The app enables you to track your schedule, explore sessions, access maps, provide feedback, view exhibitor information and interact with fellow users in the app’s activity feed. You can read more extensively about the SOLIDWORKS World Mobile App here. SOLIDWORKS World T-shirts. 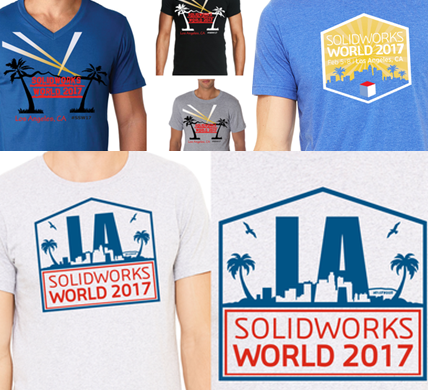 Don’t forget to pick up your SOLIDWORKS World t-shirts! Choose from three original t-shirt designs when you register in the South Hall. Review the design options here! Certification Testing. This year two certification testing sessions will be held Sunday, February 4th from 10:00am to 2:00pm and at 3:00 to 7:00pm in Rooms 404, 405, 406 and 407 of the convention center. The Welcome Reception and Tailgate Party. The Tailgate Party is scheduled for Sunday, February 4th in the Partner Pavilion, South Hall from 3:00 to 4:30 pm. The Tailgate party will feature a giant viewing screen, traditional football finger food and plenty of cold beer. You can stay in party mode because immediately following that soirée is the Welcome Reception and Game Day Party from 4:30- 7:30 pm. Get more details on both parties here. Breakfast is served daily from Monday, February 5 through Wednesday, February 8 in South Hall H&J from 6:45am to 8:00am. Lunch is served daily, Monday, February 5 through Wednesday, February 8, in South Hall H&J from 12:00pm to 1:30pm. General Sessions take place daily, Monday, February 5 through Wednesday, February 8, in South Hall K from 8:15 am to 10:00 am. Be there early for a good seat to see great keynote speakers including Anousheh Ansari and Jason Silva. 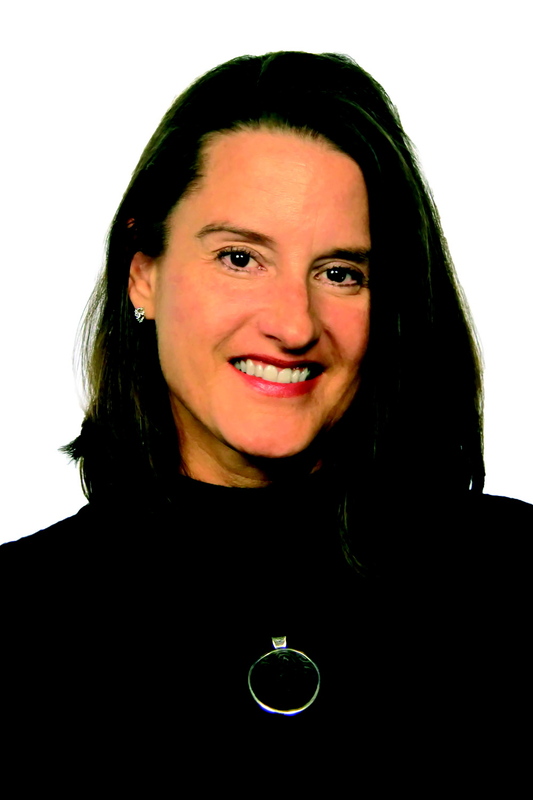 Read more about this year’s lineup of General Session speakers here. Join us for the Special Event at Paramount Studios Pictures on Tuesday, February 7 from 7:30 pm to 10:30 pm. The block party, which will take place at the New York City backlot of Paramount Studios, will feature live music, arcade games, performance artists, and lots of amazing food and liquid libations. Get more info on this fun-filled event here. SOLIDWORKS Top Ten. This year we are changing the format and adding an hour-long breakout session on the SOLIDWORKS Top Ten during which you can see the results of the 2017 Top Ten, review the history of the Top Ten, get more details on quality-related improvements, hear first-hand from the R&D Development manager and participate in an interactive discussion. The session will take place in LACC Room 408A on Tuesday from 4:30-6:00 pm. Live Startup Competition. 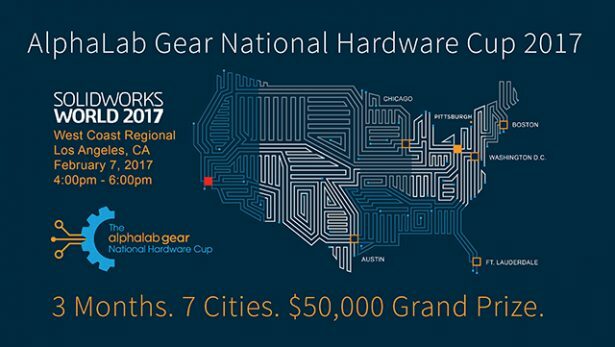 New this year, join us for the National Hardware Cup West Coast Regional at SOLIDWORKS World in LA on Tuesday, February 7 at 4:00 pm PST. During the competition, six hardware startups will pitch to local venture capitalists and investors live in front of attendees for a spot to compete in the National Finals for a $50,000 grand prize investment. Get the scoop here. Networking. Connect with old friends and meet new ones. More than 5,000 people will be at the event, giving you opportunities to learn from many different backgrounds. 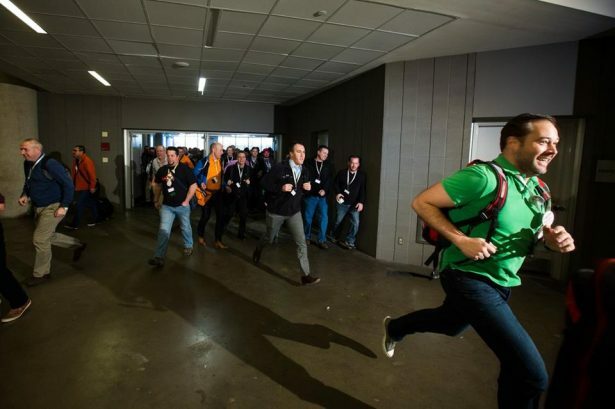 In addition to meeting fellow users onsite, there are several non-traditional networking options you can check out including the SOLIDWORKS User Group Networking Meeting and daily morning workout meetups. Learning Paths. This year for the first time, there will be four Learning Paths that users can follow to become immersed in four key areas of manufacturing technology. The paths include the Internet of Things (IoT), Model-Based Definition (MBD), Additive Manufacturing, and Subtractive Manufacturing. The sessions will be taught by SOLIDWORKS employees, partners and industry experts. You can read more about the SOLIDWORKS Learning Paths here. Live Stream. Don’t have your tickets yet? There’s still time to register for SOLIDWORKS World 2017 Live Stream so you can watch all the action from the General Sessions daily from the comfort of your own home or office. Register for the Live Stream here. Another option if you live in the L.A. is to register for a free Expo Hall Only pass by using the code: SWW17RSEO. Sign up today!